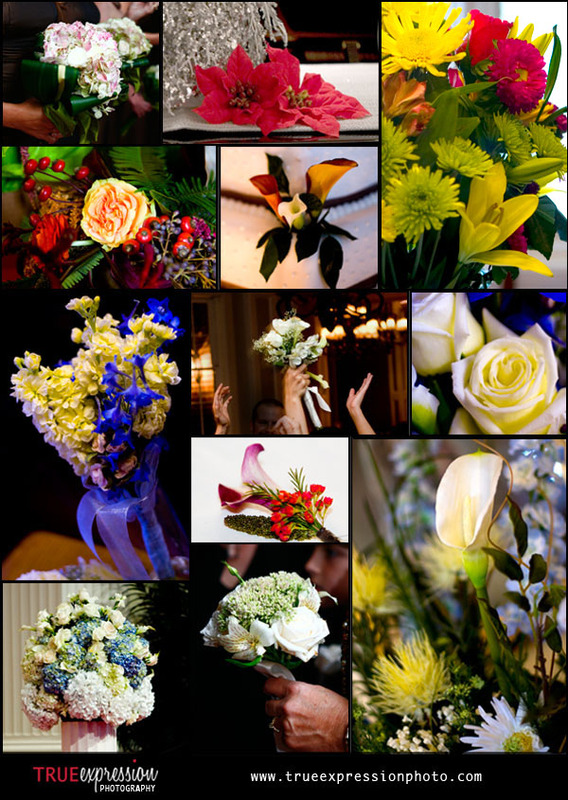 For the second installment of my series on wedding details, I will featuring my favorite wedding flower photos from 2008. After looking through lots of photos of the bouquets, boutonnieres and corsages, plus the flowers in the church, on the cake, on the tables and in various other locations at the wedding, it was hard to choose which photos to feature! This series is meant to give some wedding inspiration to brides currently planning their weddings. If you haven't already seen it, make sure you also check out my post on wedding cakes!